If you live in West Yorkshire and searching for a multi fuel stove you have come to the right place! 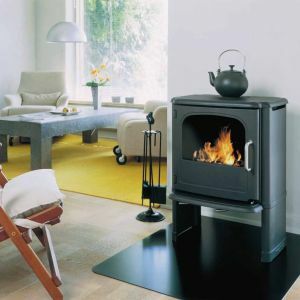 Leeds Stove Centre is one of the leading suppliers of Multi Fuel Stoves in West Yorkshire. With a large choice of multi fuel stoves to choose from for home delivery, your certain to find your perfect stove to keep you warm this winter at The Leeds Stove Centre! If you would like to more information, advice or would just like to see our multi fuel stoves in action, feel free to come visit our showroom which is located in Stanningley, Leeds, West Yorkshire. To ensure that we stock the highest quality multi fuel stoves in West Yorkshire, we only stock stoves manufactured by the leading makes, such as Yeoman, Stovax and Gazco. With wide choices of styles, colours and brands, your certeain to find your ideal multi fuel stove at The Leeds Stove Centre. To ensure that your new multi fuel stove is installed professionally and to a high standard, Leeds Stove Centre has a team of highly experienced installers who can install stoves across the whole of West Yorkshire. We are also able to carry out chimney tests and fit flue systems. Please contact us on 0113 255 5622 to arrange an installation survey or for more details on installing your multi fuel stove in your West Yorkshire home. Click Here for more details about the areas that we cover. We are committed to bringing you the very best prices possible for multi fuel stoves in West Yorkshire. Therefore Leeds Stove Centre will always endeavour to match or beat any competitor�s price in the UK for the same multi fuel stove every time!